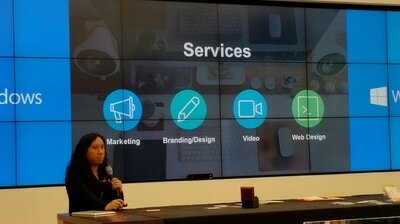 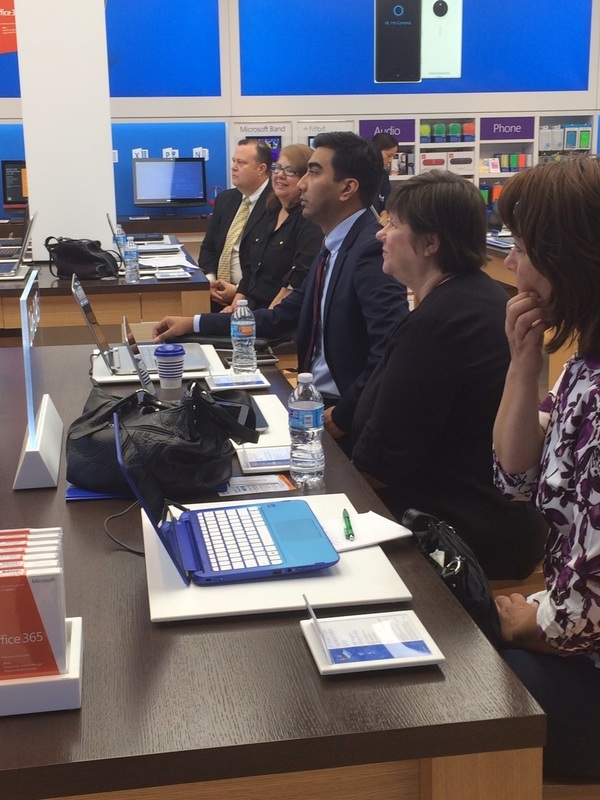 We introduced our video conferencing capabilities. 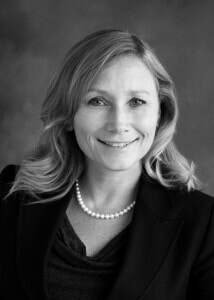 Video conferencing for one on one consulting and webinars will be a new Power Partner USA benefit. 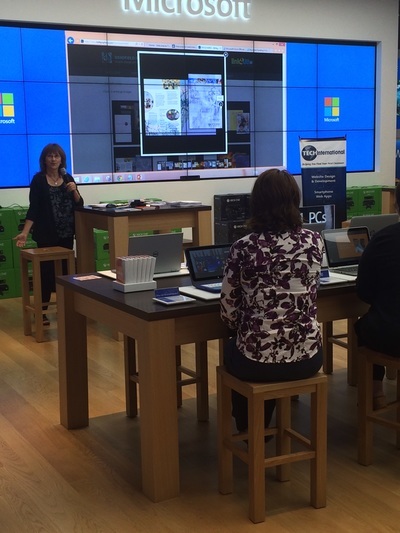 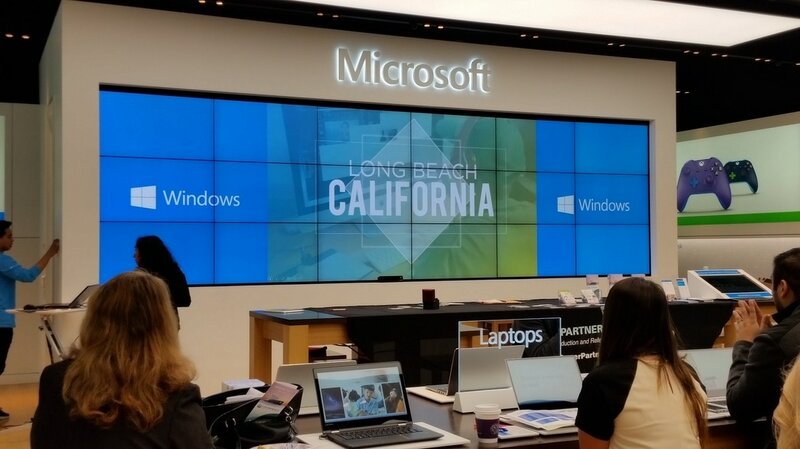 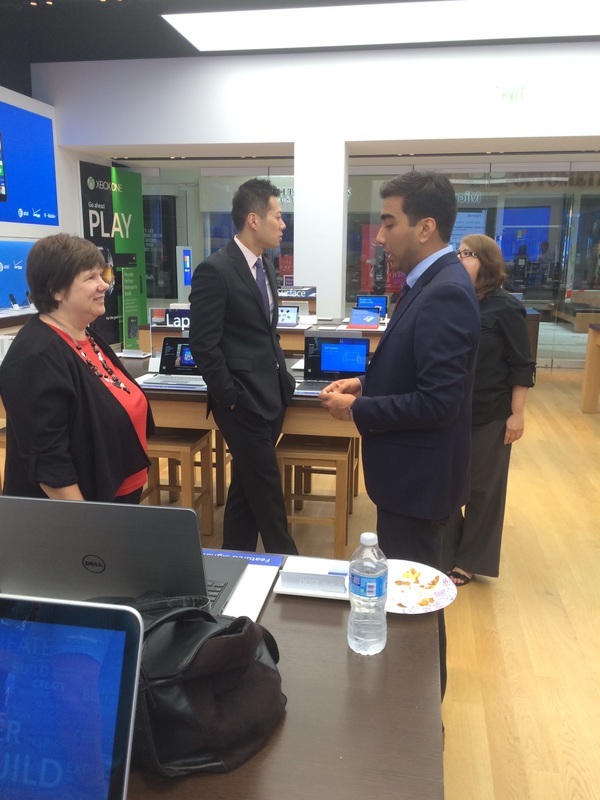 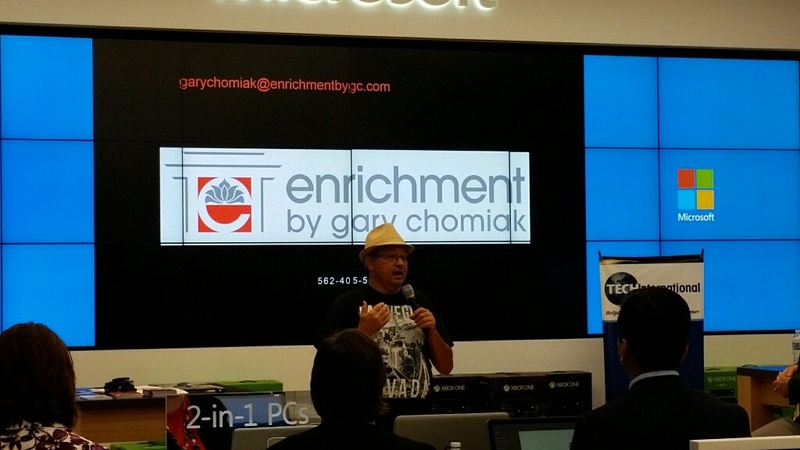 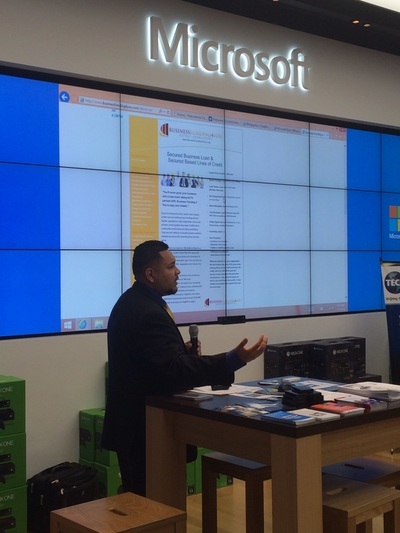 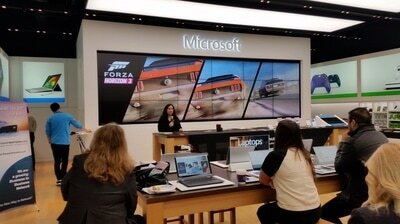 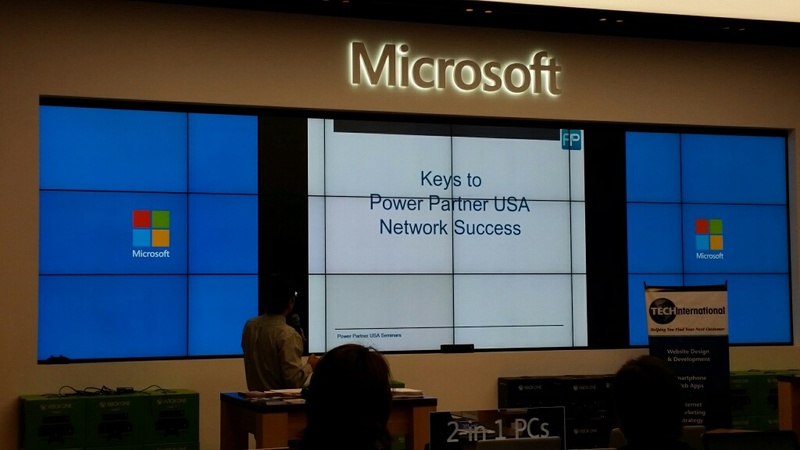 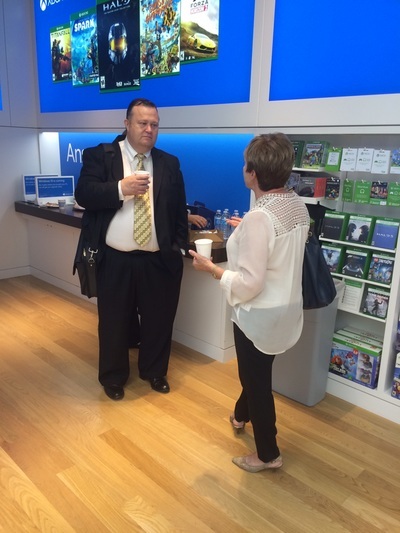 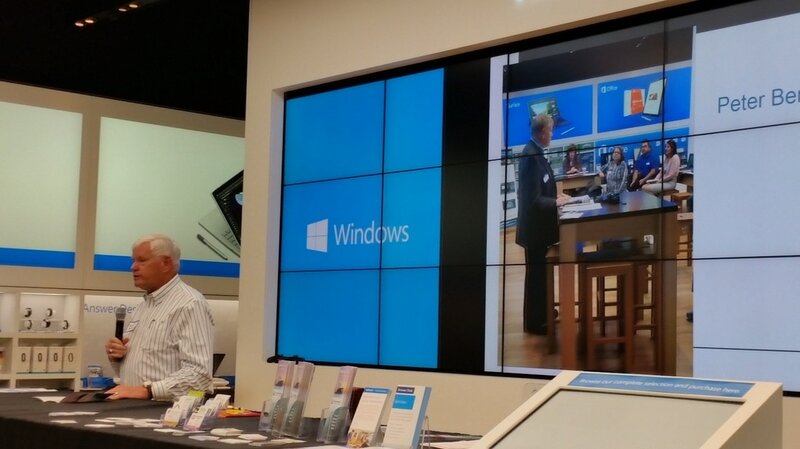 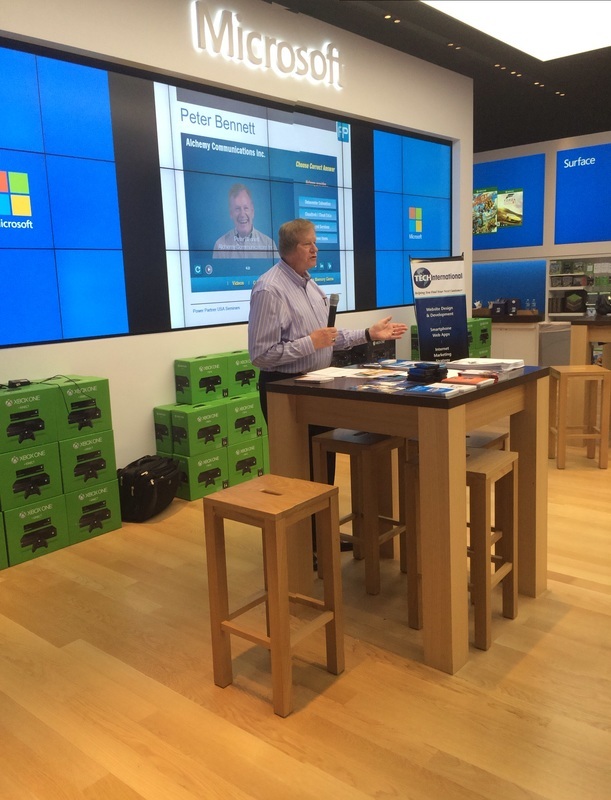 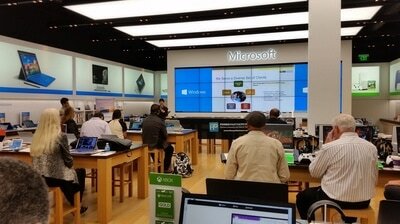 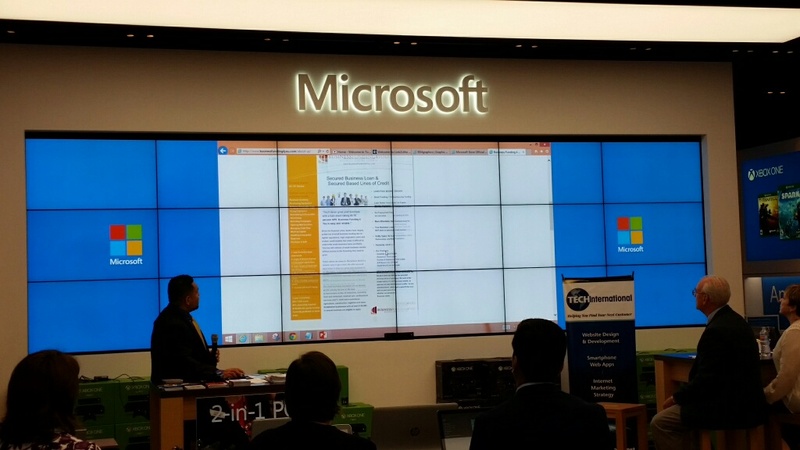 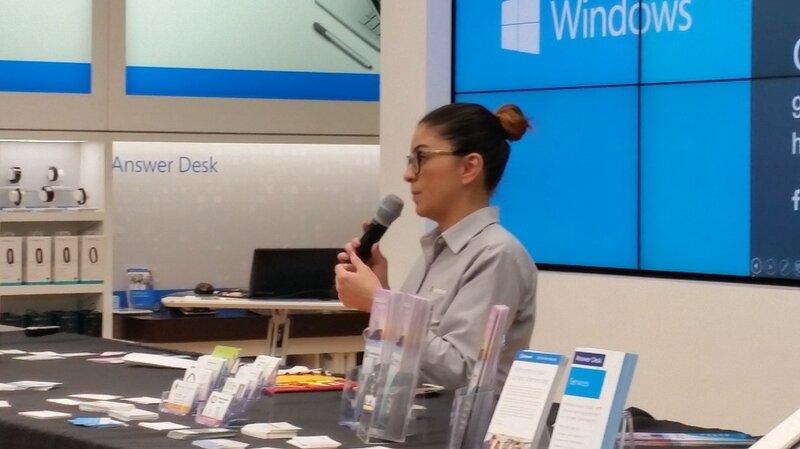 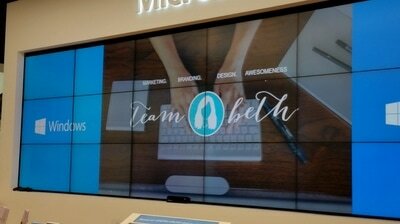 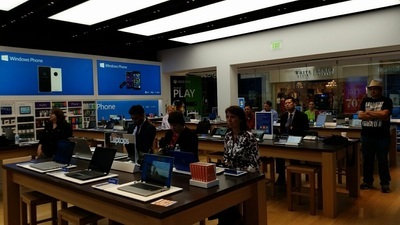 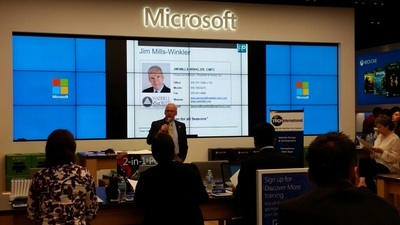 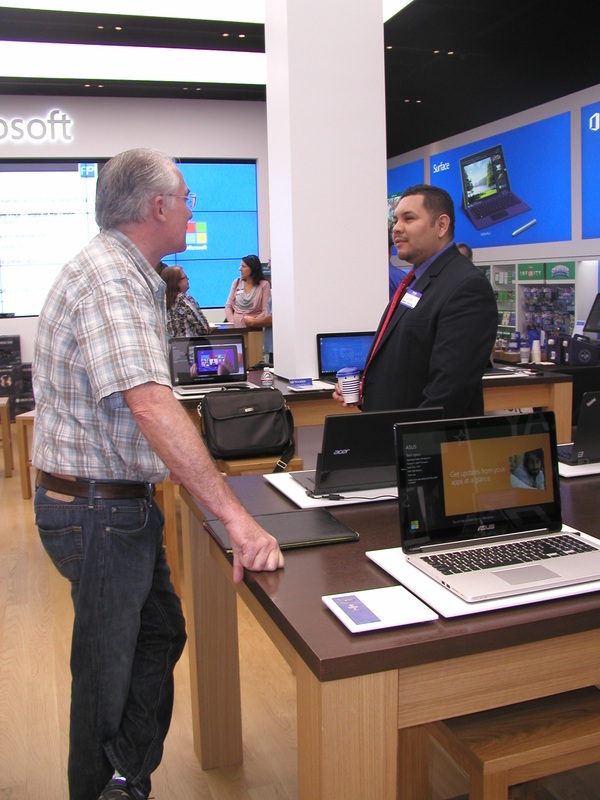 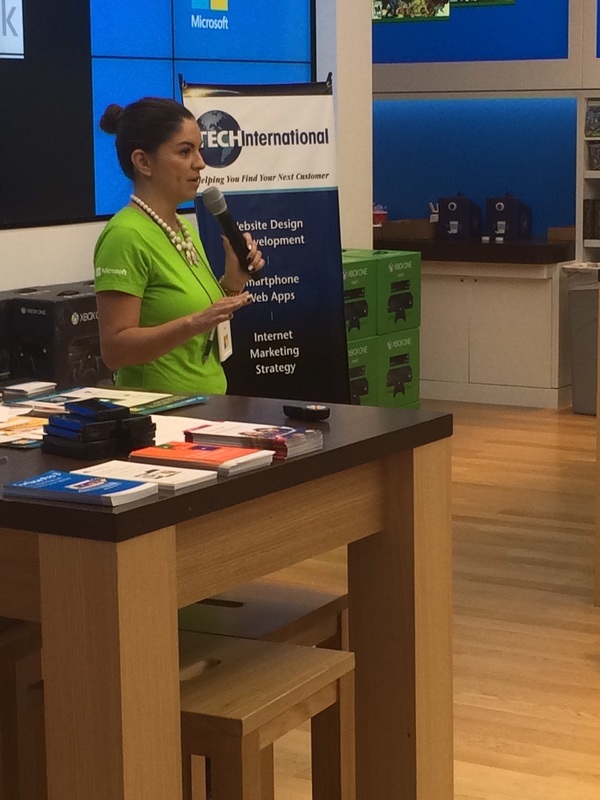 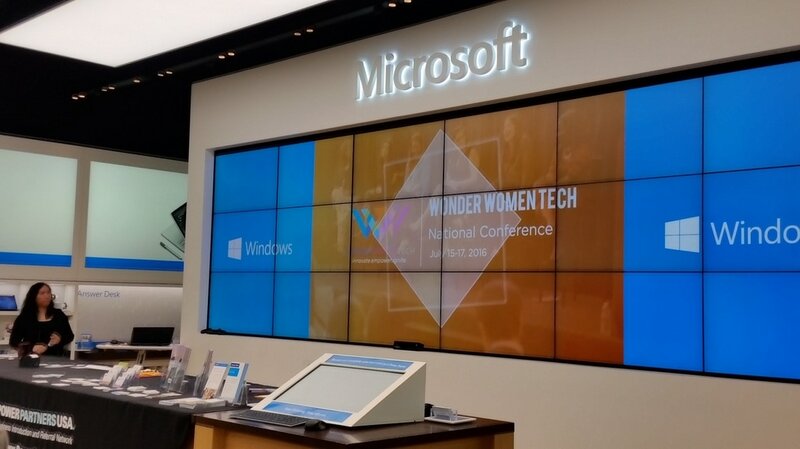 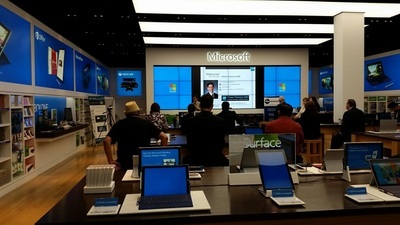 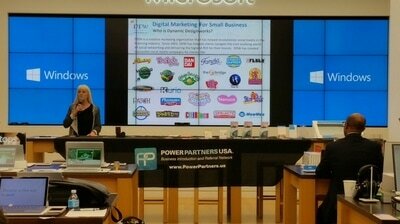 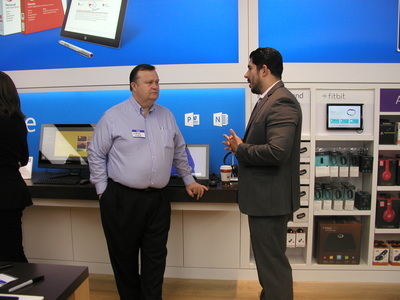 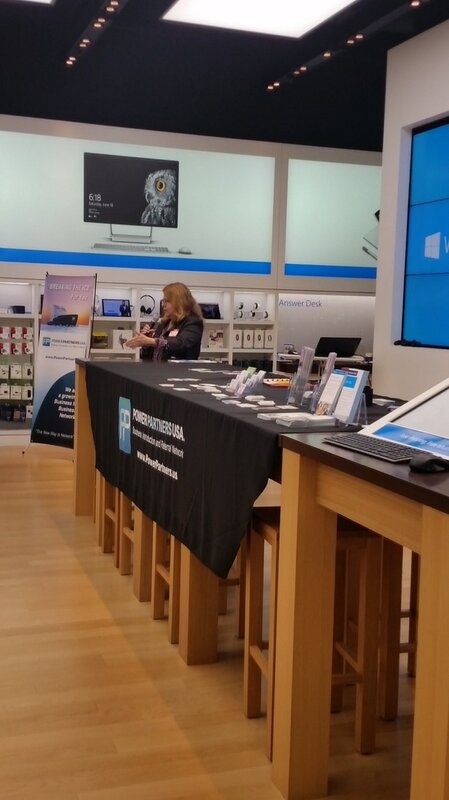 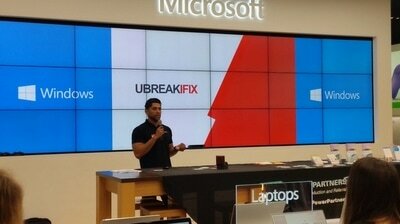 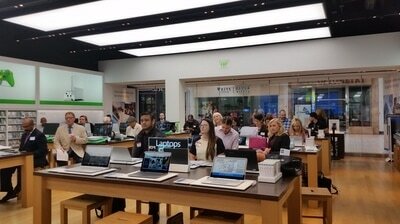 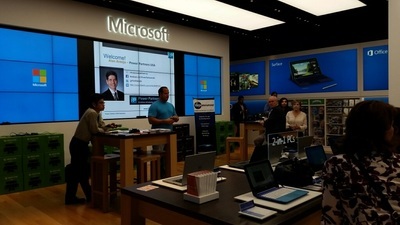 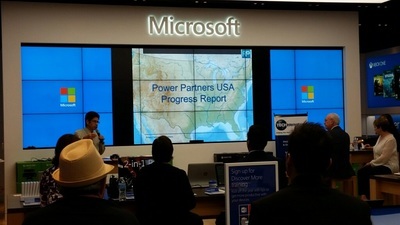 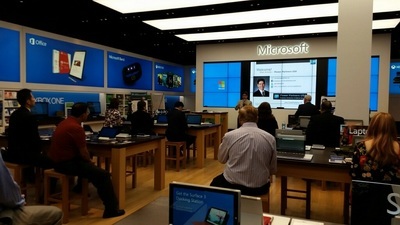 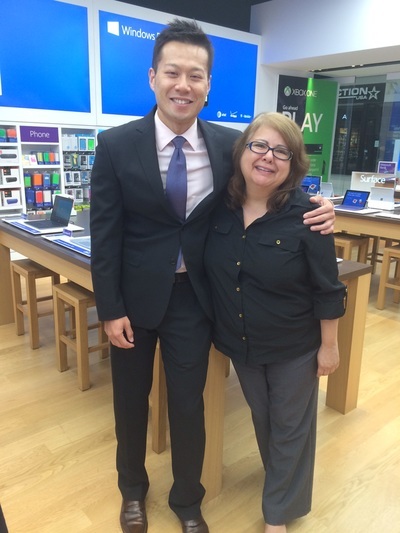 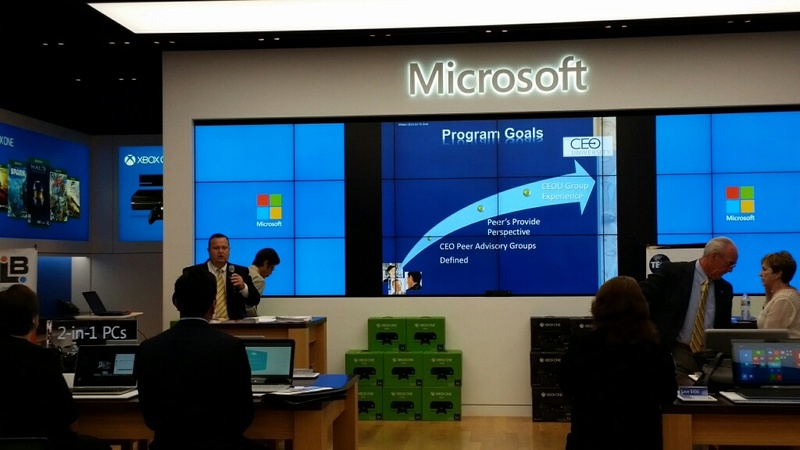 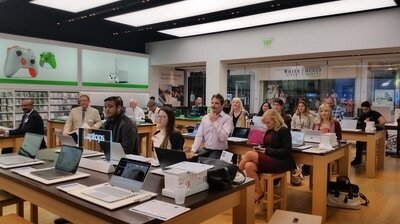 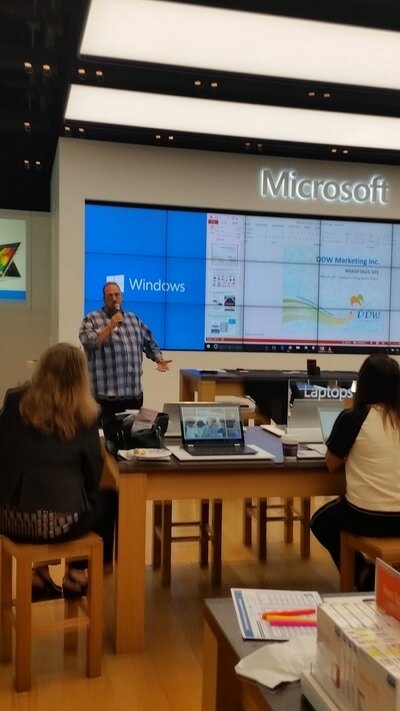 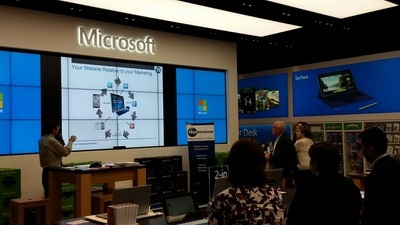 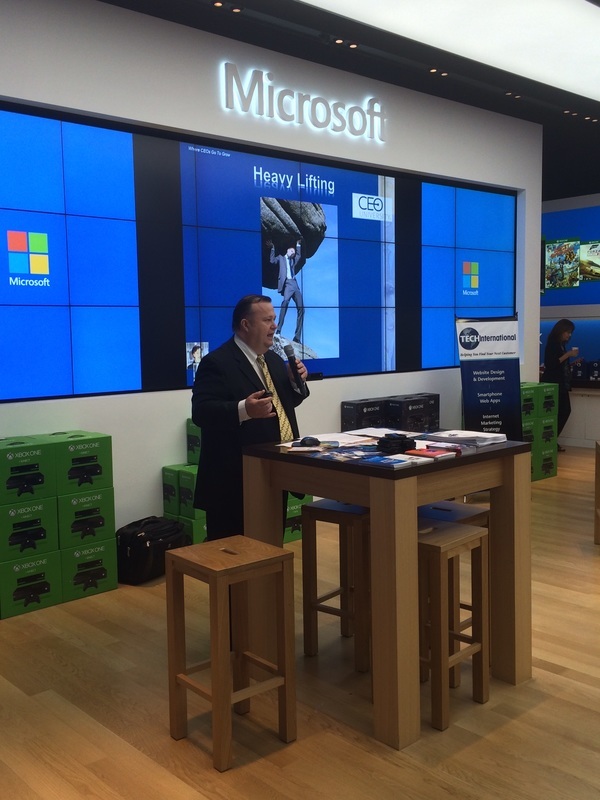 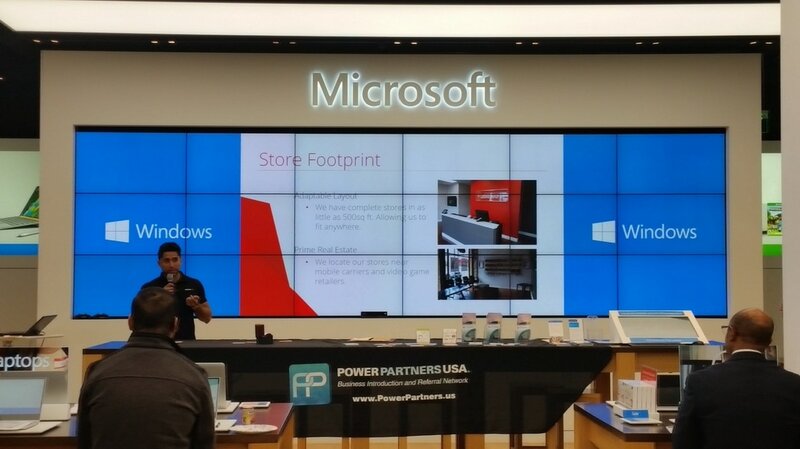 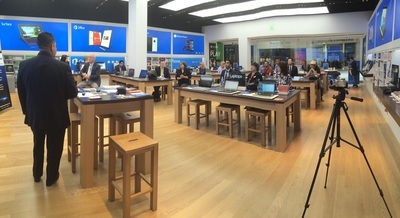 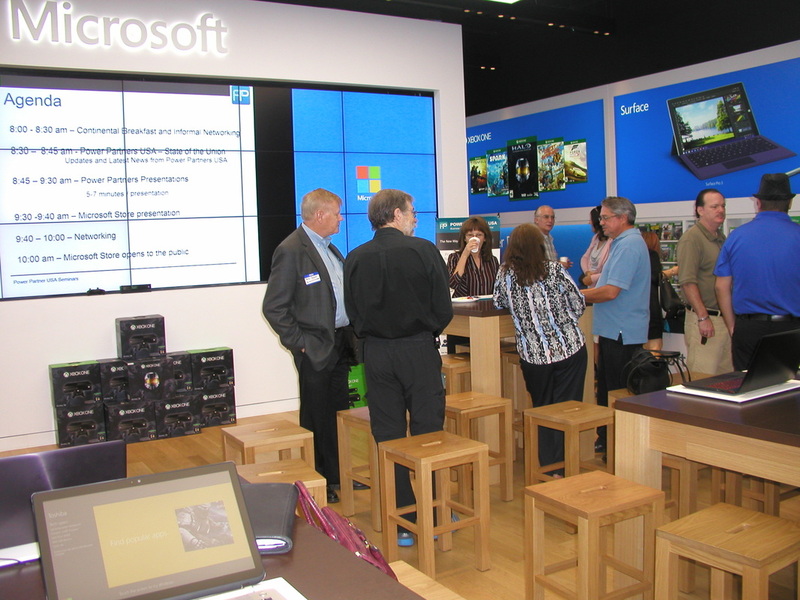 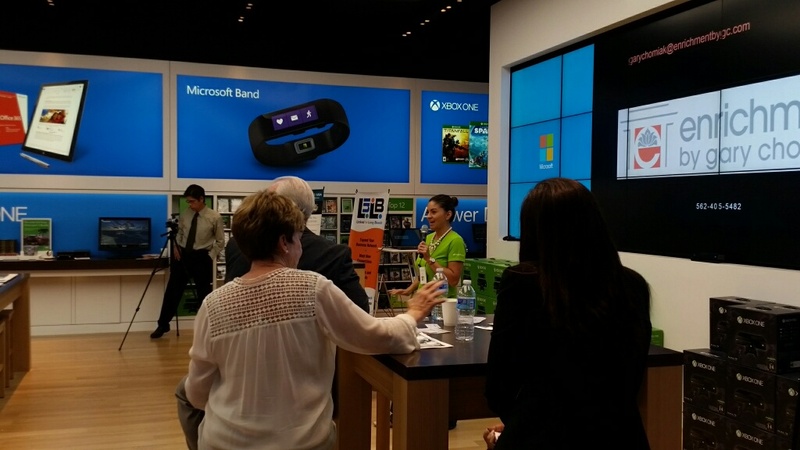 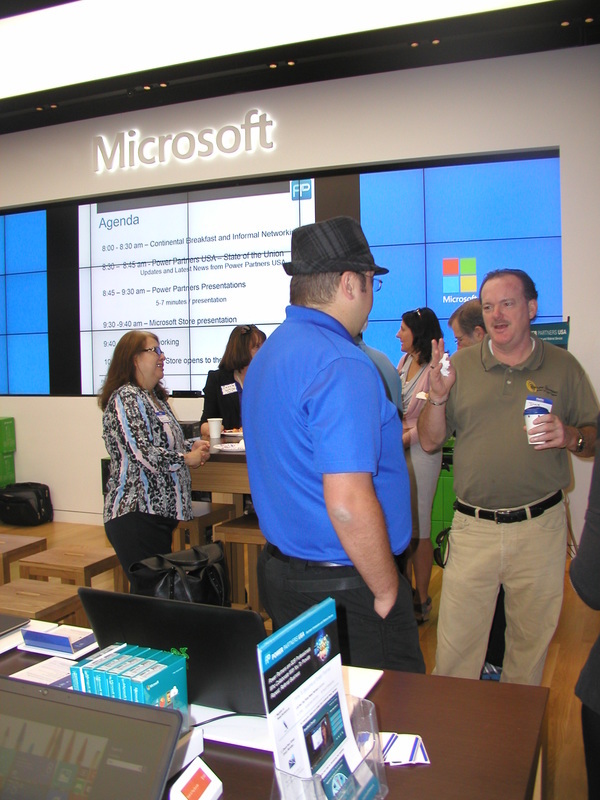 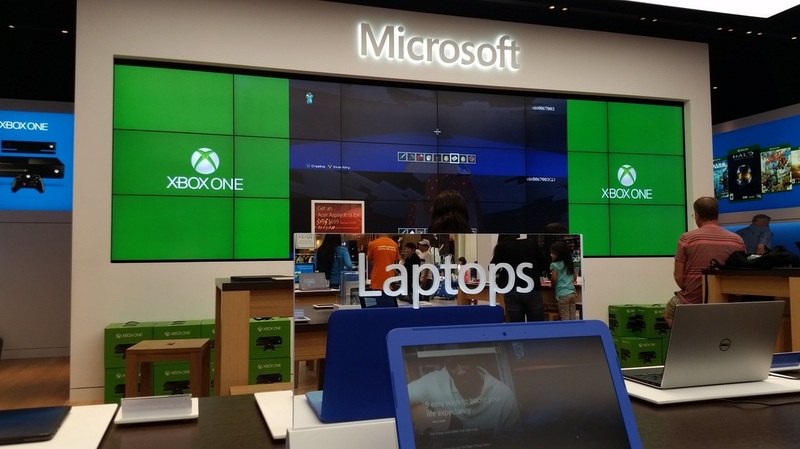 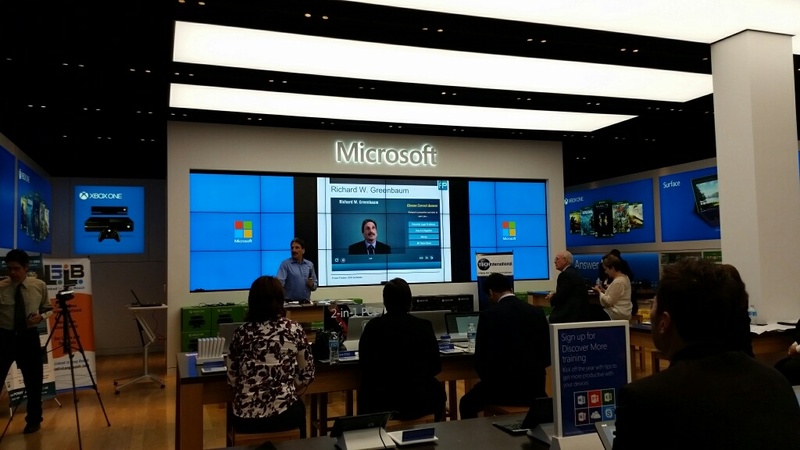 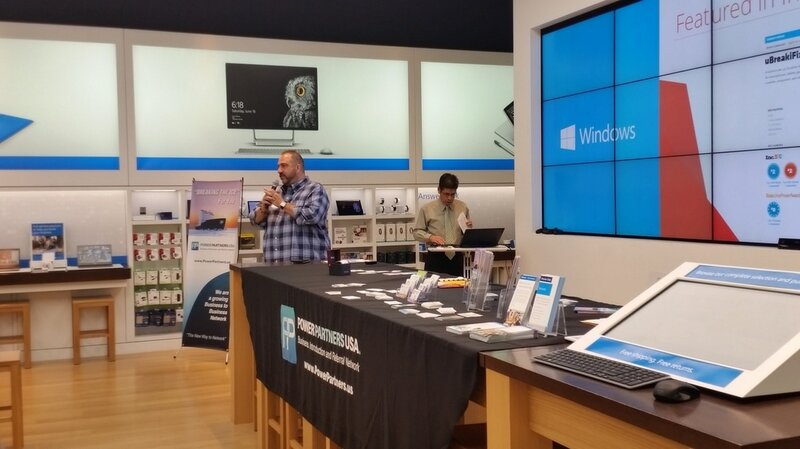 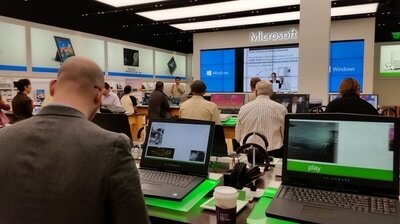 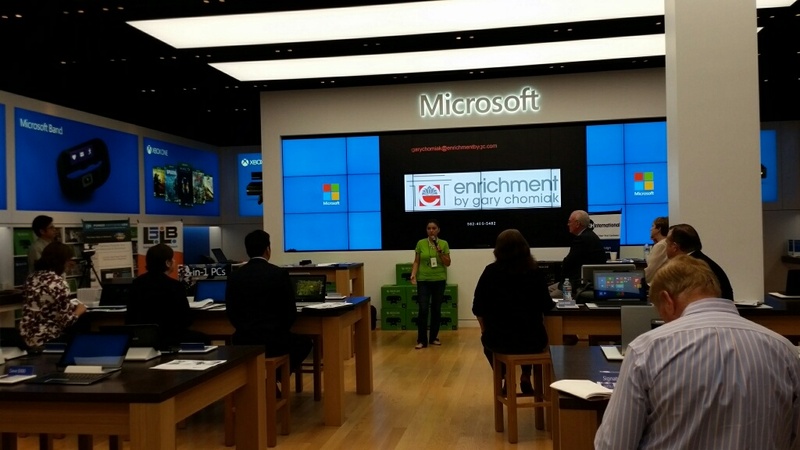 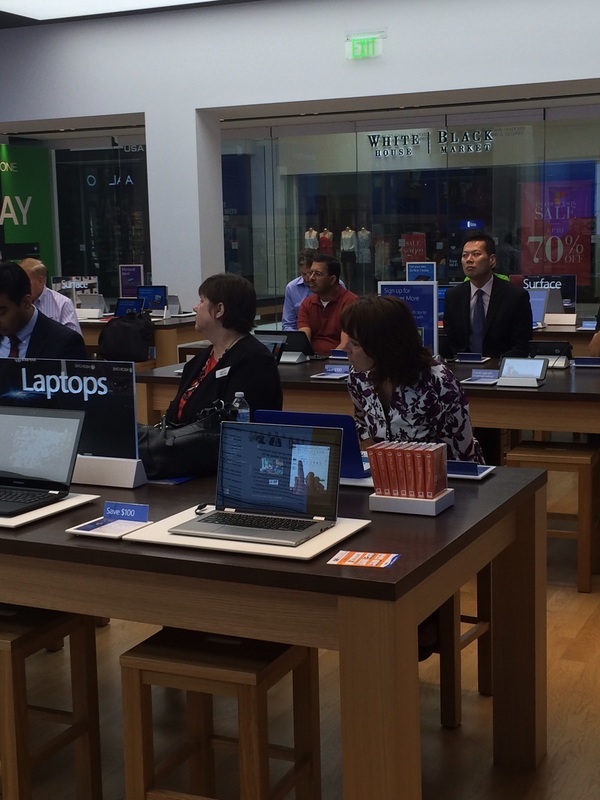 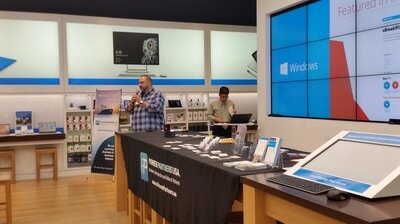 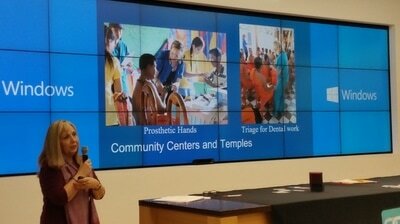 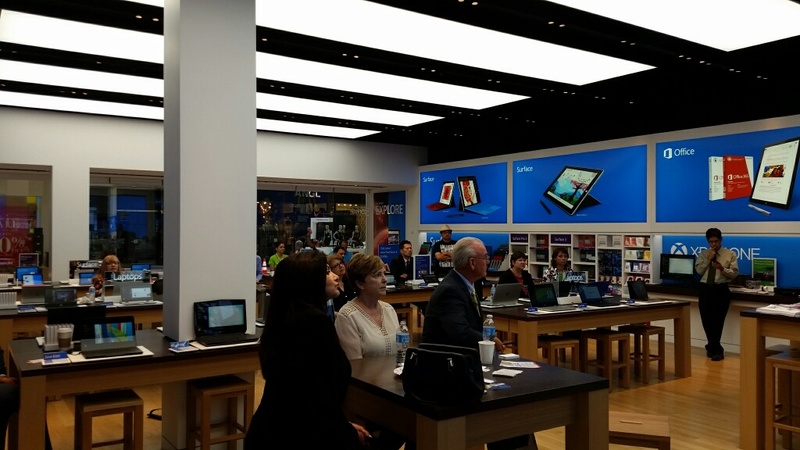 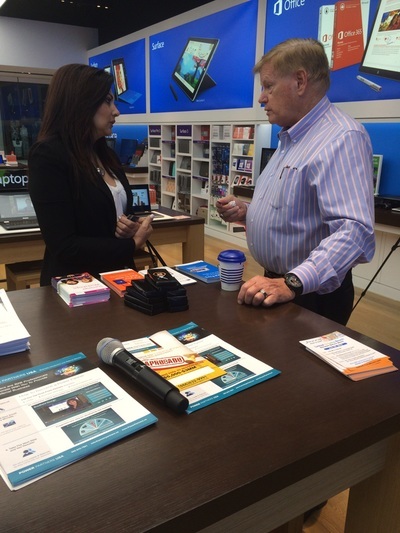 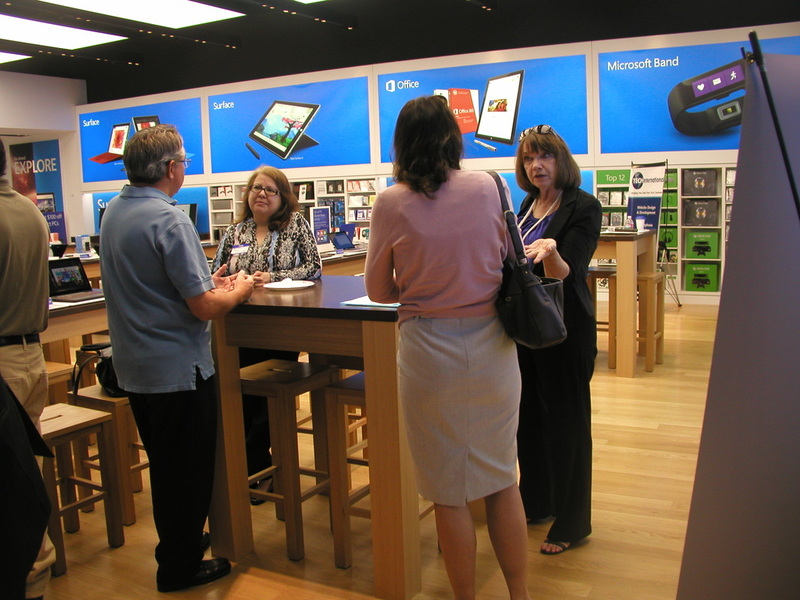 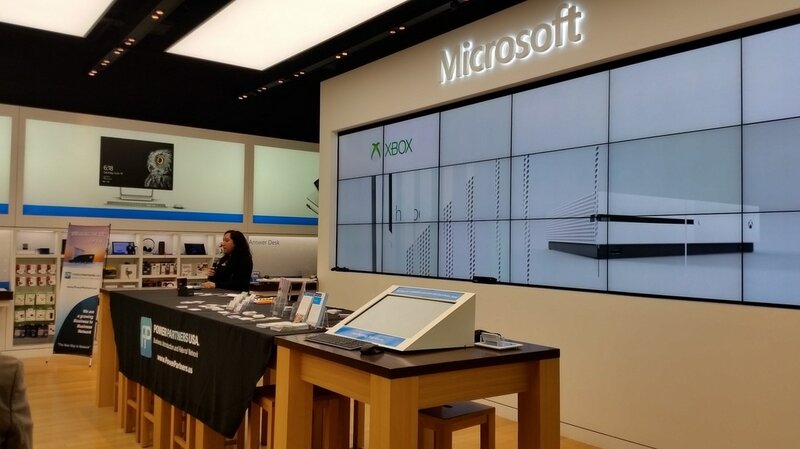 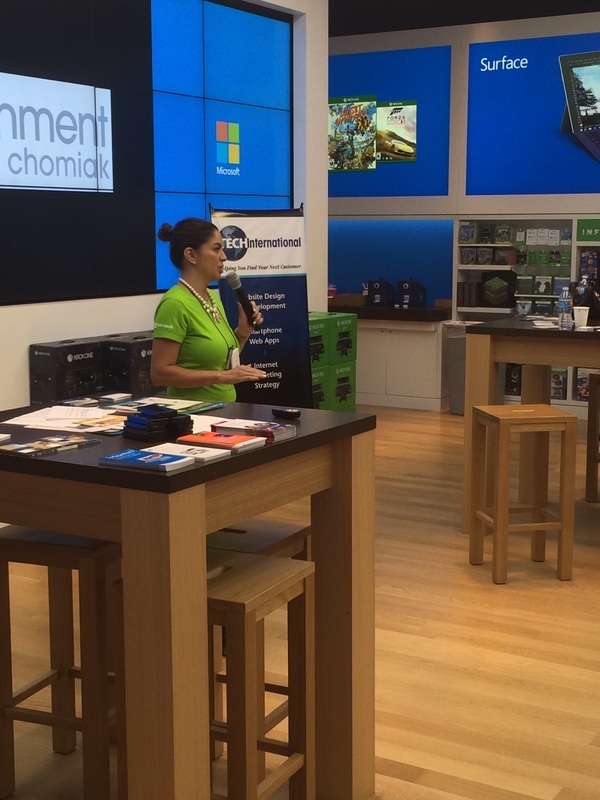 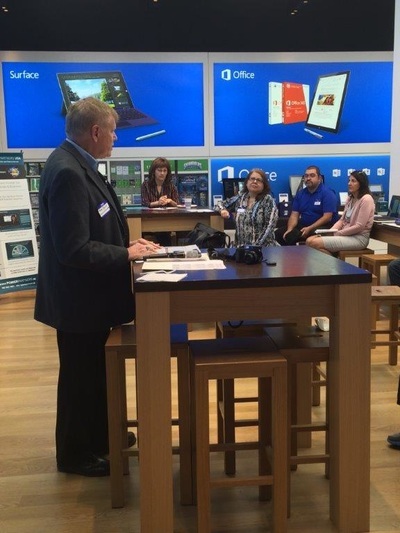 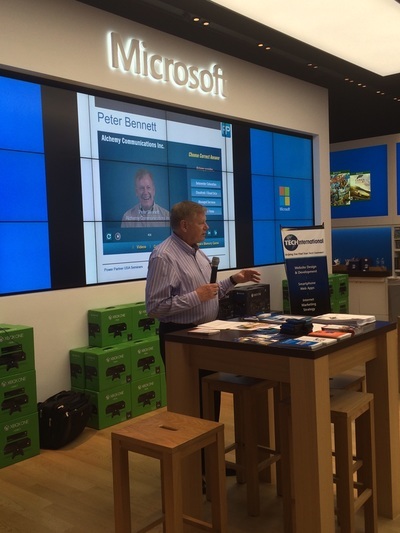 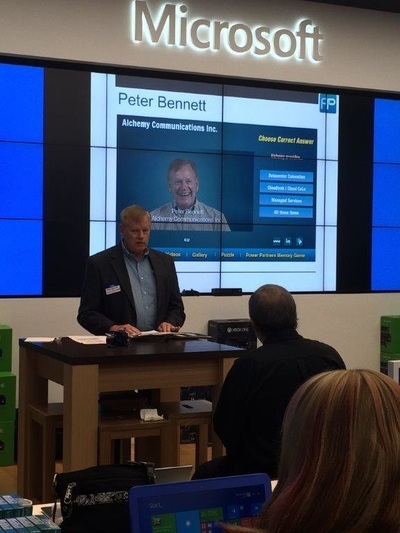 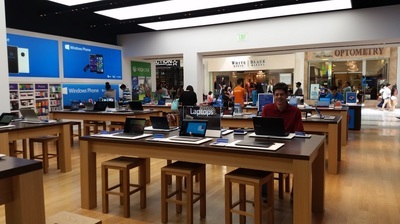 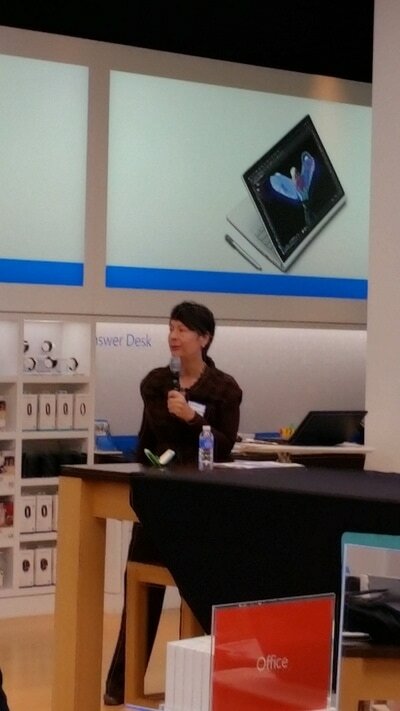 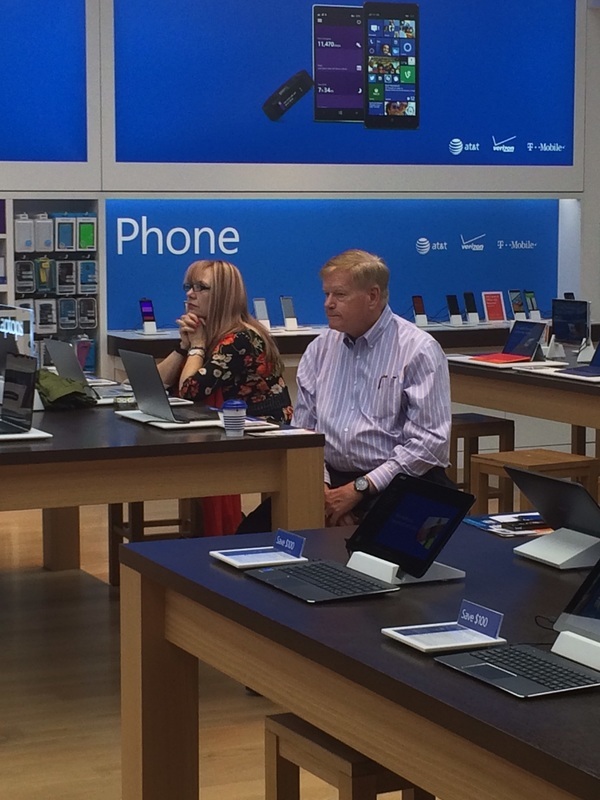 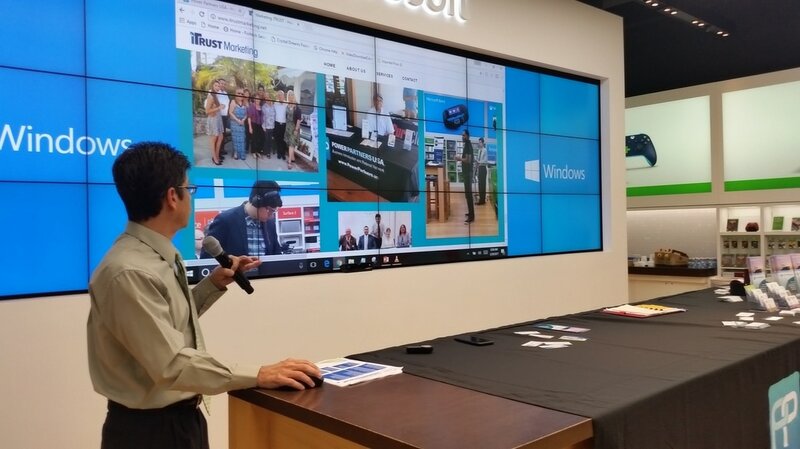 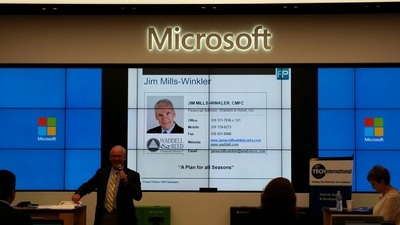 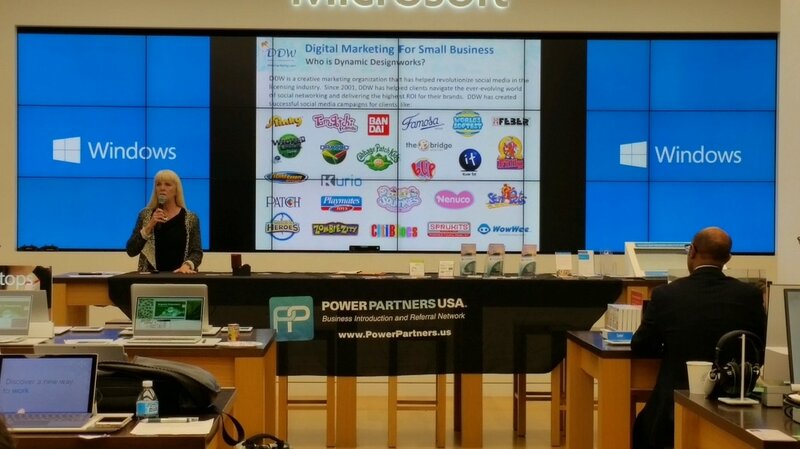 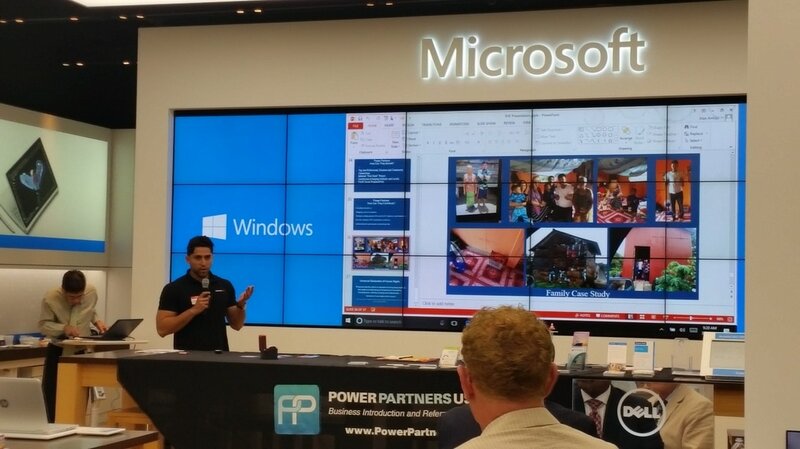 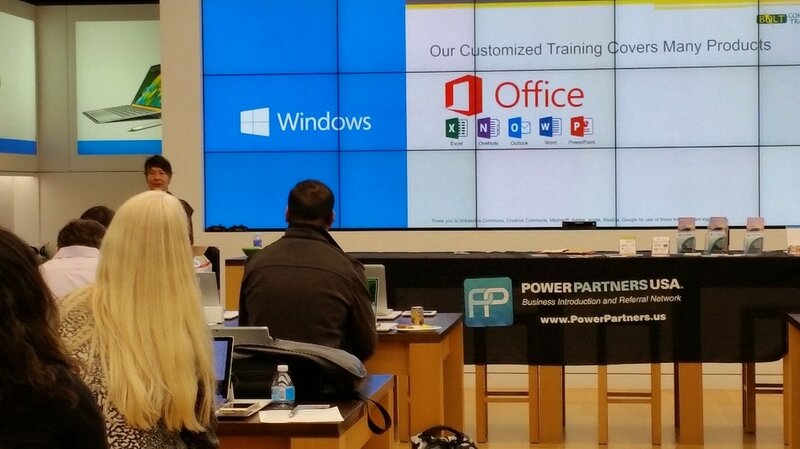 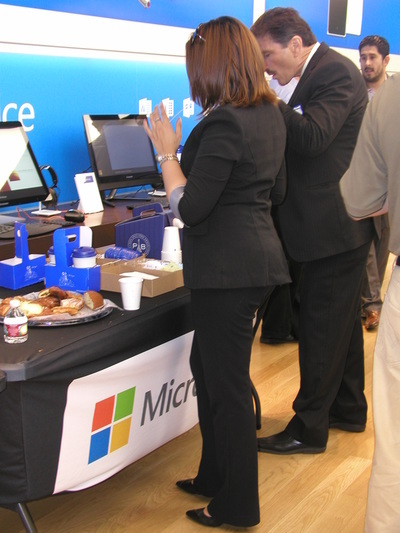 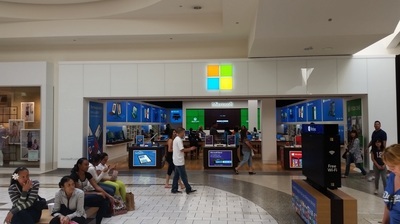 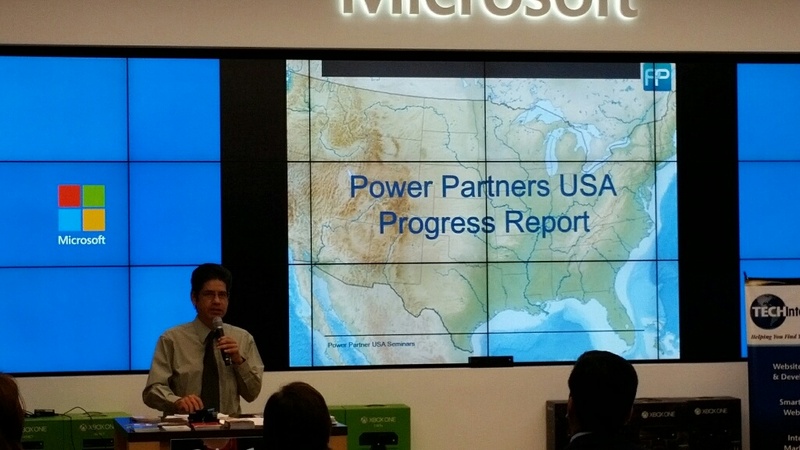 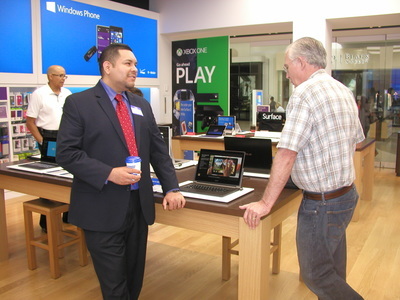 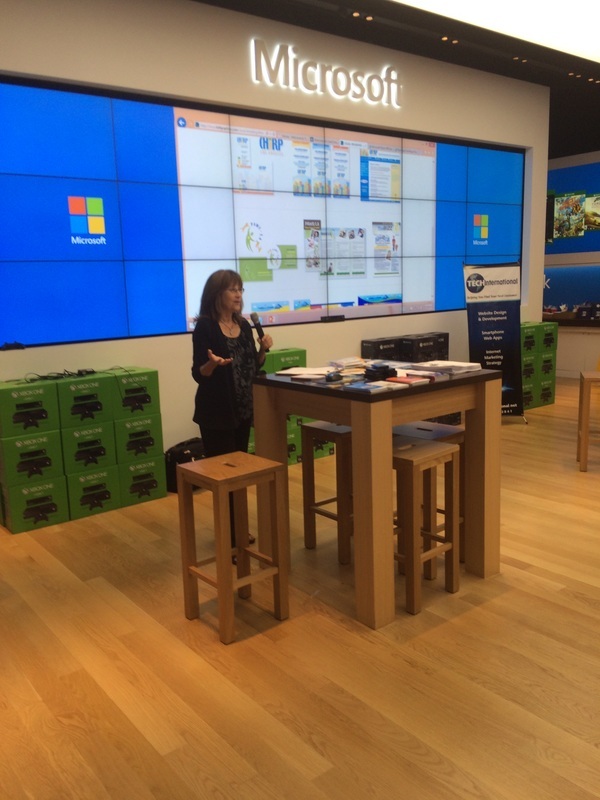 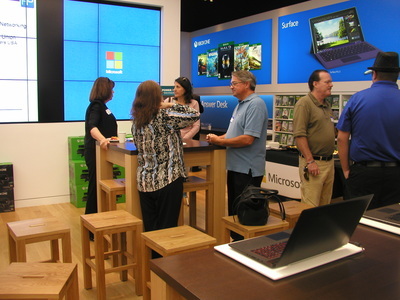 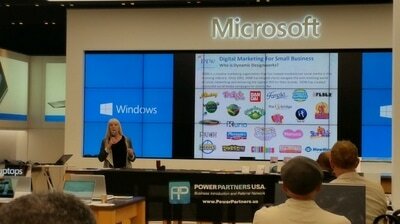 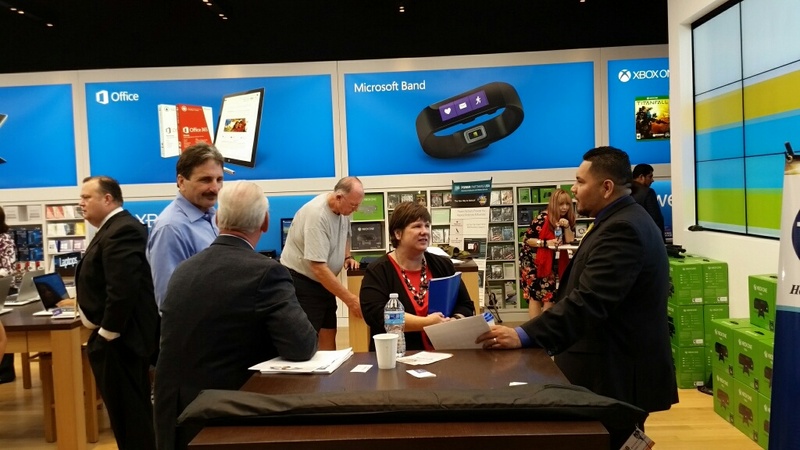 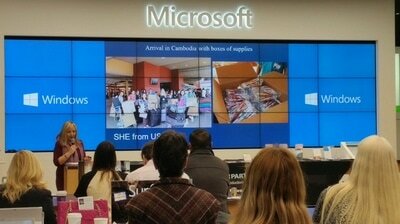 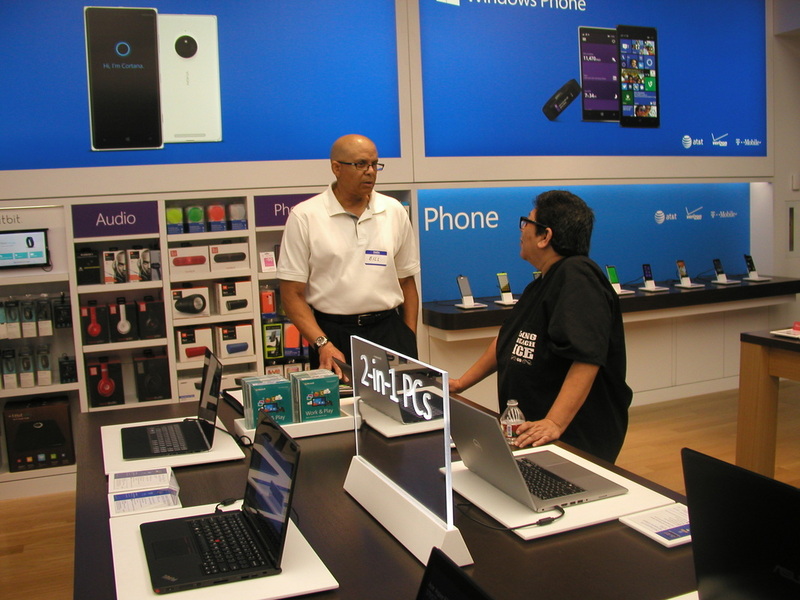 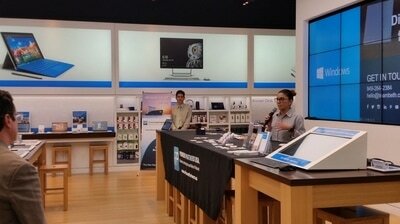 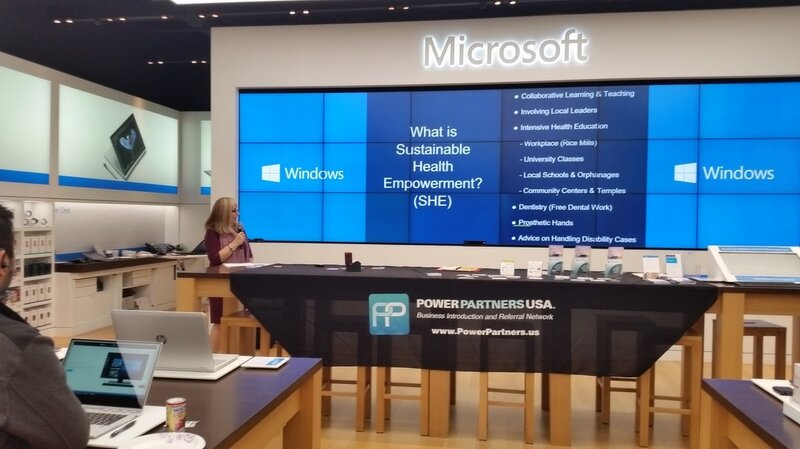 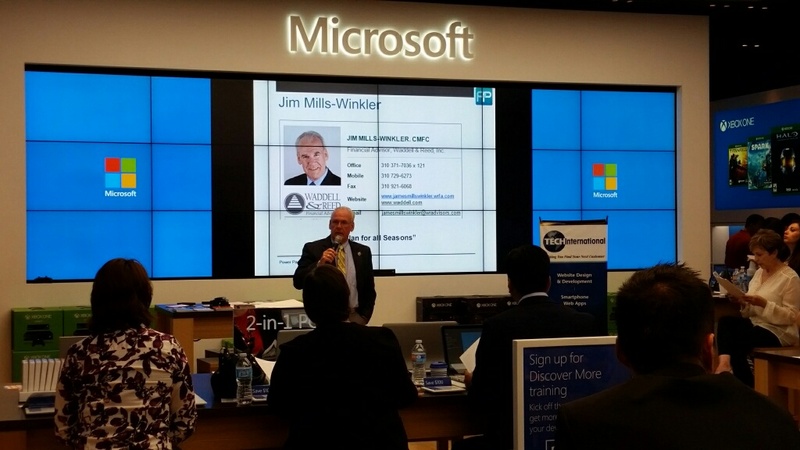 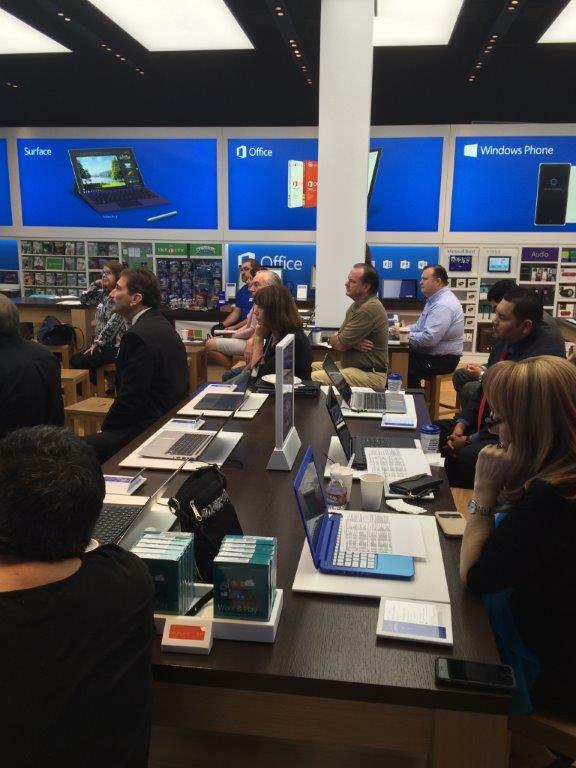 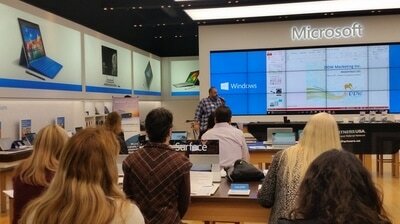 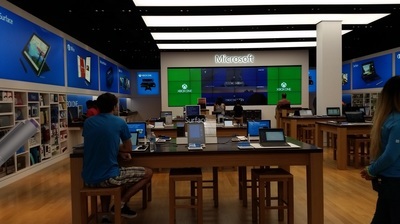 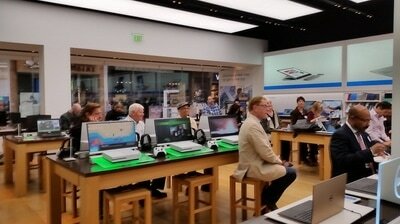 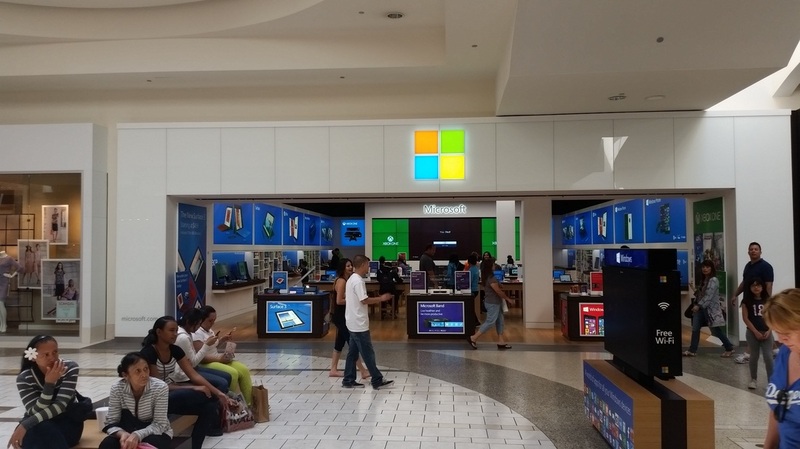 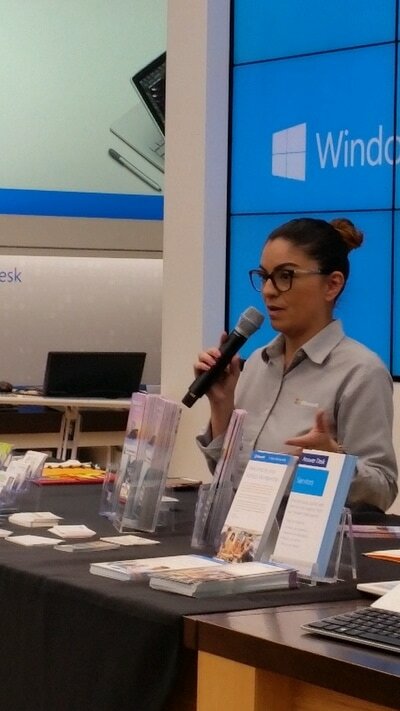 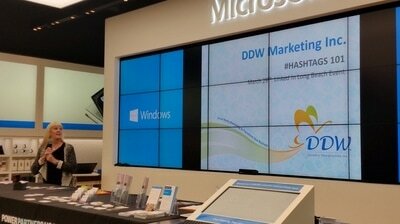 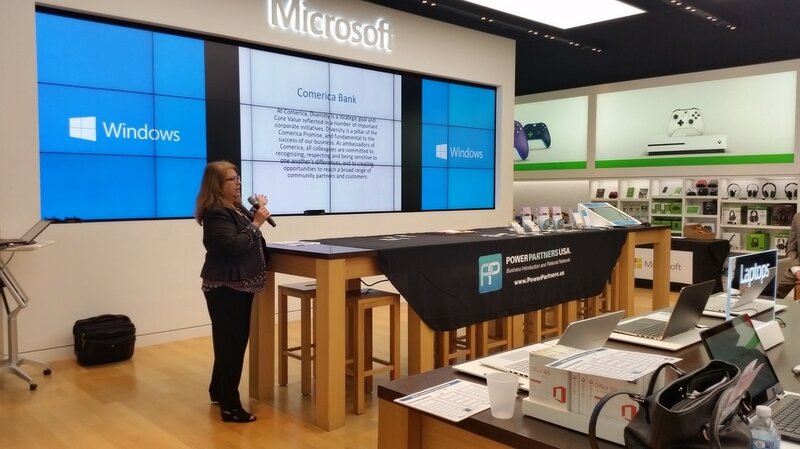 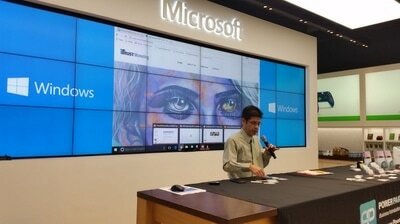 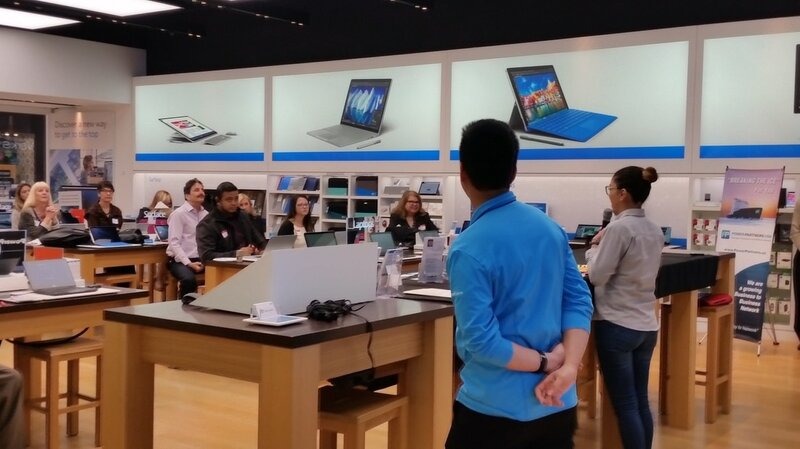 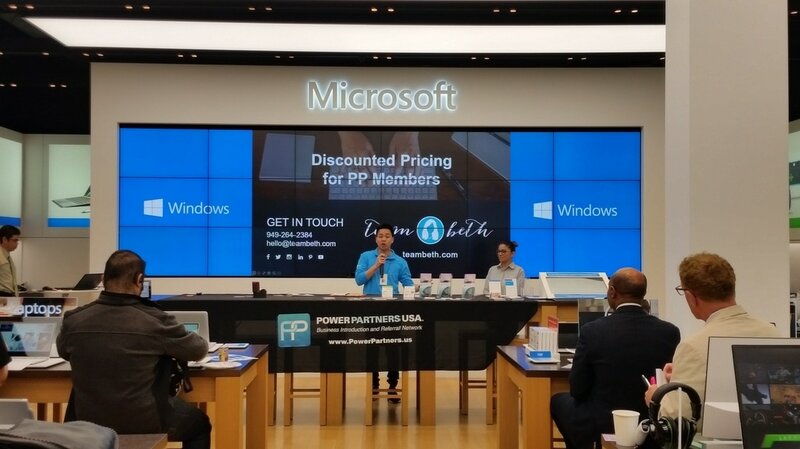 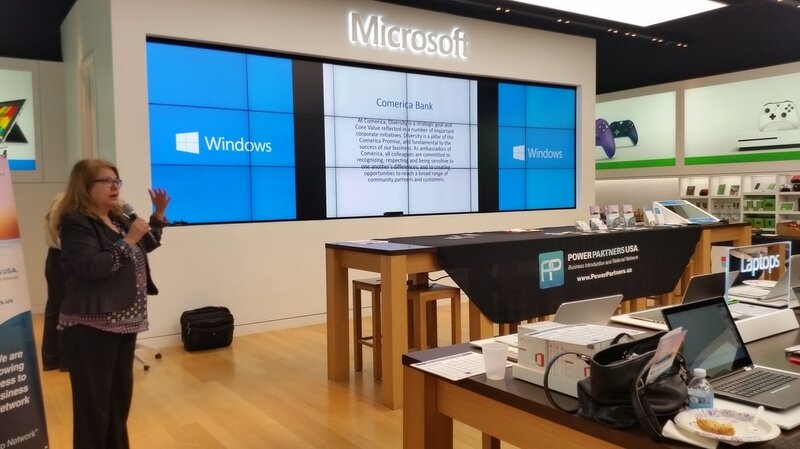 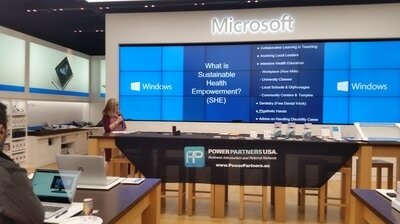 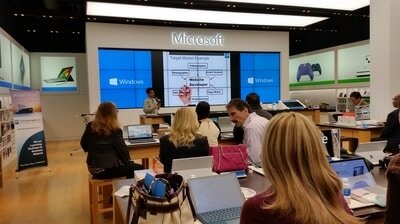 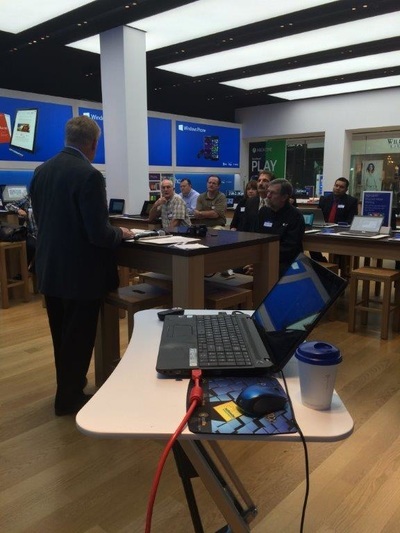 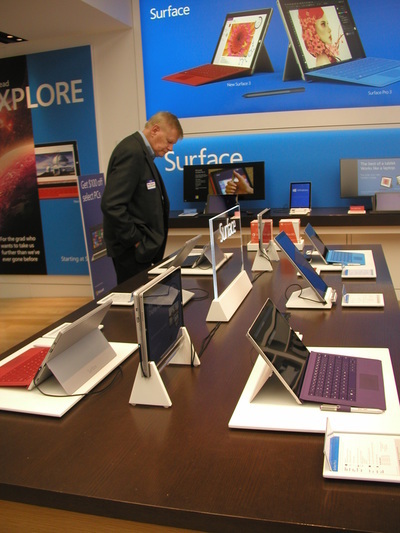 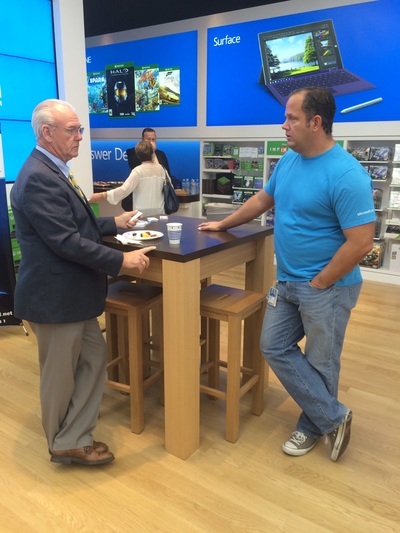 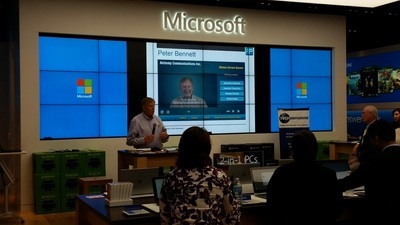 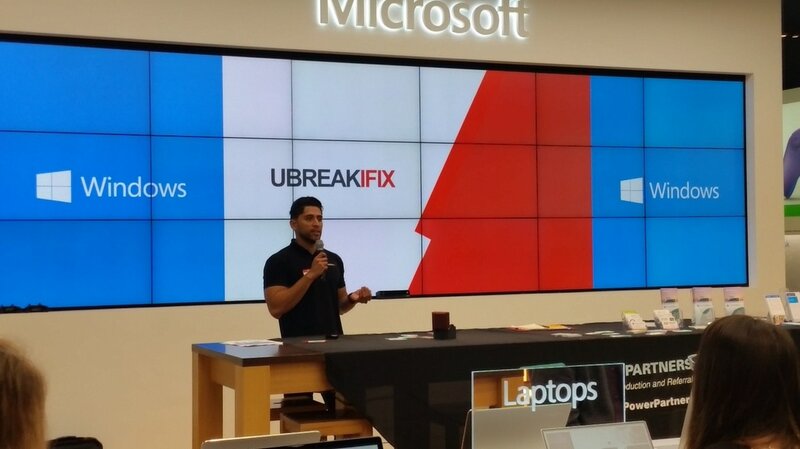 We provide a continental breakfast during our event - attendees enjoy Power Partner USA member five minute presentations along with some great business networking at Microsoft Store in Cerritos Mall. 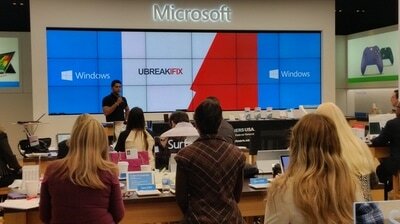 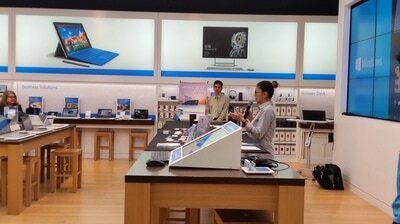 ​The Microsoft Store will be showcasing Virtual Reality (VR) at our event with a representative from Vive! This will be a great hit during the networking portion of the event. We will also get to know the different types of industries that can tailor the VR experience for business later in the month.